"The Lion Rampant" redirects here. For other uses, see Lion rampant. Red (Gules) lion rampant with blue (Azure) claws and tongue, within a red double border having a motif of alternating heraldic lilies, on a yellow (Or) field. The Royal Banner of the Royal Arms of Scotland, also known as the Royal Banner of Scotland, or more commonly the Lion Rampant of Scotland, and historically as the Royal Standard of Scotland, (Scottish Gaelic: Bratach rìoghail na h-Alba, Scots: Ryal banner o Scotland) or Banner of the King of Scots, is the Royal Banner of Scotland, and historically, the Royal Standard of the Kingdom of Scotland. Used historically by the Scottish monarchs, the banner differs from Scotland's national flag, the Saltire, in that its correct use is restricted by an Act of the Parliament of Scotland to only a few Great Officers of State who officially represent the Monarchy in Scotland. It is also used in an official capacity at royal residences in Scotland when the Head of State is not present. The earliest recorded use of the Lion rampant as a royal emblem in Scotland was by Alexander II in 1222; with the additional embellishment of a double border set with lilies occurring during the reign of Alexander III (1249–1286). This emblem occupied the shield of the royal coat of arms of the ancient Kingdom of Scotland which, together with a royal banner displaying the same, was used by the King of Scots until the Union of the Crowns in 1603, when James VI acceded to the thrones of the kingdoms of England and Ireland. 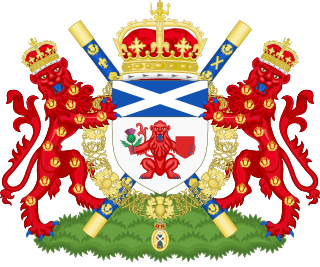 Since 1603, the Lion rampant of Scotland has been incorporated into both the royal arms and royal banners of successive Scottish then British monarchs in order to symbolise Scotland; as can be seen today in the Royal Standard of the United Kingdom. Although now officially restricted to use by representatives of the Monarch and at royal residences, the Royal Banner continues to be one of Scotland's most recognisable symbols. Displaying a red lion rampant, with blue tongue and claws, within a red double border on a yellow background, the design of the Royal Banner of Scotland is formally specified in heraldry as: Or, a lion rampant Gules armed and langued Azure within a double tressure flory counter-flory of the second, meaning: A gold (Or) background, whose principal symbol is a red (Gules) upright lion (lion rampant) with blue (Azure) claws and tongue (armed and langued), surrounded by a two-lined border (tressure) decorated with opposing pairs of floral symbols (flory counter-flory) of the second colour specified in the blazon (Gules). Used as a house flag, its proportions are 5:4; however, flag manufacturers themselves may also adopt alternative ratios, including 1:2 or 2:3. 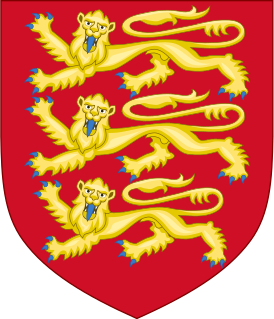 The Lion rampant has been used as a heraldic symbol by heirs of Malcolm III beginning with David I. The Great Seal was also used by Alexander II (1214–1249). Its use in Scotland originated during the reign of Malcolm III (1058–1093), The Lion rampant motif is also used as a badge by those Irish clans who has lineage in common with Malcolm III. They are linked to the legendary Milesian genealogies. An earlier recorded Scottish royal standard featured a dragon, which was used at the Battle of the Standard in 1138 by David I (1124–1153). Following the Union of the Crowns of England, Ireland and Scotland in 1603, the Royal Banner of the arms of the kings of Scotland was incorporated into the royal standards of successive Scottish then, following the Acts of Union in 1707, British monarchs; with all such royal standards being quartered to include the banner of the arms of each individual realm. Since 1603, the Royal Banner of Scotland has appeared in both the first and fourth quarters of the quartered royal standard used in Scotland, while appearing only in the second quarter of that version used elsewhere. The Royal Banner of Scotland flying above Holyrood Palace, Edinburgh. The Royal Banner of Scotland is used officially at the Scottish royal residences of the Palace of Holyroodhouse, Edinburgh, and Balmoral Castle, Aberdeenshire, when the Queen is not in residence. The Royal Standard of the United Kingdom used in Scotland is flown when the Monarch is present. In the tradition of Scottish heraldry, use of the banner is not restricted to the monarch. Several Great Officers of State who officially represent the Monarchy in Scotland are permitted to use the Royal Banner of Scotland, including; the First Minister of Scotland (as Keeper of the Great Seal of Scotland), Lord Lieutenants within their respective Lieutenancies, the Lord High Commissioner to the General Assembly of the Church of Scotland, the Lord Lyon King of Arms and other lieutenants who may be specially appointed by the Head of State. A variation of the Royal Banner of Scotland is used by the heir apparent to the King of Scots, the Duke of Rothesay, whose standard is the banner defaced with an Azure coloured plain label of three points. The personal banner of the current titleholder, Prince Charles, also features the same, displayed upon an inner shield. As the personal banner of the Monarch, use of the Royal Banner of Scotland is restricted under the Act of the Parliament of Scotland 1672 cap. 47 and 30 & 31 Vict. cap. 17, and any unauthorised use of such is an offence under the Act. In 1978 a St Albans linen merchant, Denis Pamphilon, was fined £100 daily for usurpation of the banner on decorative bedspreads until he desisted, and both Rangers F.C. and the Scottish National Party have been admonished by the Court of the Lord Lyon for their improper and non-authorised use of the banner. Despite such action, the flag continues to feature on a variety of merchandise and souvenirs produced commercially for Scotland's economically important tourism industry. 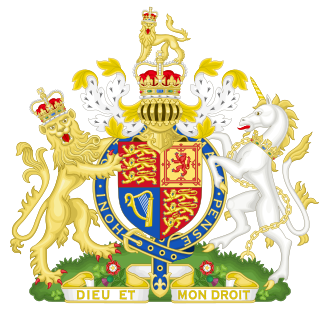 In 1934, George V issued a Royal Warrant authorising use of the Royal Banner of Scotland during the Silver Jubilee celebrations, due to take place the following year. However, such use was restricted to hand-held flags for "decorative ebullition" as a mark of loyalty to the Monarch; the banner was not to be flown from flagpoles or public buildings. The use of hand-held flags at state occasions, such as the opening of the Scottish Parliament, and at sporting events, continues to be authorised by this Royal Warrant, although according to former Lord Lyon Robin Blair, in an interview given to the Sunday Post in November 2007, such use at sporting events "was not envisaged in 1935". As well as forming the basis of the standard of the Duke of Rothesay, the Royal Banner of Scotland has since 1603 been a component of what is now styled the Royal Standard of the United Kingdom; both that version used exclusively in Scotland and that used elsewhere. It similarly appears in the Royal Standard of Canada, with the arms of Canada reflecting the royal symbols of England, Scotland, Ireland and France. The Standard of the Duke of Rothesay, viz the Royal Banner of Scotland defaced with a plain label of three points Azure. 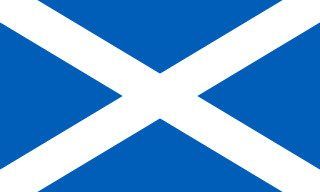 The Royal Standard of the United Kingdom used in Scotland, featuring the Royal Banner of Scotland in the first and fourth quarters. The Royal Standard of the United Kingdom used outwith Scotland, featuring the Royal Banner of Scotland in the second quarter. The Royal Standard of Canada, featuring the Royal Banner of Scotland in the quartered arms contained in the first and second divisions. 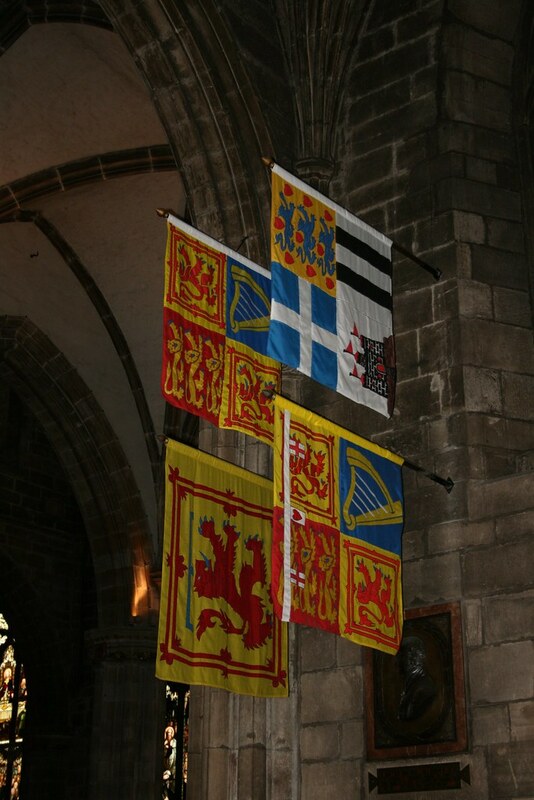 The Royal Standard of the United Kingdom used in Scotland and (clockwise) those of the Duke of Edinburgh, Princess Royal and Duke of Rothesay, displayed in St Giles' Cathedral, Edinburgh. The Royal Standard of the United Kingdom used in Scotland, featuring the Royal Banner of Scotland in the first and fourth quarters, flying over the Palace of Holyrood House, Edinburgh. The Royal Standard of the United Kingdom used outwith Scotland, featuring the Royal Banner of Scotland in the second quarter, flying over Buckingham Palace, London. The Queen's Personal Canadian Flag, featuring the Royal Banner of Scotland in the quartered coat contained in the first and second divisions, flying over the Peace Tower, Ottawa. The Royal Banner of Scotland, flying over Balmoral Castle, Aberdeenshire. The Flag of Scotland, also known as the Saint Andrew's Cross or more commonly The Saltire, is the national flag of Scotland. The Saltire is the correct flag for all individuals and corporate bodies to fly in order to demonstrate both their loyalty and Scottish nationality. It is also, where possible, flown from Scottish Government buildings every day from 8am until sunset, with certain exceptions; for example United Kingdom National Days. Wikimedia Commons has media related to Scottish royal standards. ^ Boudreau, Claire; Cogné, Daniel; Vachon, Auguste (17 April 1998). "Actes Du 22e Congrès International Des Sciences Généalogique Et Héraldique À Ottawa 18-23 Août 1996". University of Ottawa Press. Retrieved 17 April 2018 – via Google Books. ^ a b c "Union Jack". The Royal Household. Archived from the original on 30 June 2013. Retrieved 28 August 2009. ^ "United Kingdom Monarchs (1603-present)". The Royal Household. Archived from the original on 10 March 2010. Retrieved 15 December 2009. ^ McColgan, R.A. (1998). "The Arms of the King of Scots and Selected Heraldry". In Cogné, Daniel; Boudreau, Claire; Vachon, Auguste (eds.). Genealogica & heraldica: proceedings of the 22nd International Congress of Genealogical and Heraldic Sciences in Ottawa. Ottawa, Canada: University of Ottawa Press. p. 402. ^ "Further Guidance on Flags". The Court of the Lord Lyon. Retrieved 10 September 2009. ^ "Scottish Standard". UK Flags. Flying Colours Flagmakers. Archived from the original on 26 July 2011. Retrieved 11 December 2009. ^ Strong, John; Tatlock, Perry (1950). The legendary history of Britain: Geoffrey of Monmouth's Historia Regum Britanniae and its early vernacular versions. University of California Press. p. 329. ^ McAndrew, Bruce A. (2006). Scotland's historic heraldry. Boydell Press. p. 276. ISBN 1-84383-261-5. ^ "Standards". Website of The Prince of Wales. Retrieved 28 August 2009. ^ Groom, Nick (2006). The Union Jack: the Story of the British Flag. Atlantic Books. p. 294. ISBN 1-84354-336-2. ^ "The Scottish Souvenir Shop". World Souvenirs Ltd. Retrieved 15 December 2009. ^ "ScotWeb". Scotweb Marketing Ltd. Retrieved 12 December 2009. ^ "LION RAMPANT FLAG. (Hansard, 24 November 1936)". hansard.millbanksystems.com. Retrieved 17 April 2018. ^ "Holyrood Opening". The Scottish Parliament. Archived from the original on 23 April 2010. Retrieved 16 December 2009. ^ Gordon, Phil (29 March 2003). "How Scottish fans fell out of love with Hampden and their team". The Times. Times Newspapers Ltd. Retrieved 15 December 2009. ^ "The Lion Rampant & Heraldry". The McGeachie Surname Forum. Archived from the original on 1 March 2012. Retrieved 28 August 2009. ^ "Personal flags and standards". Canadian Heritage. Retrieved 15 December 2009. ^ "Ceremonial and Canadian Symbols". Canadian Heritage. Retrieved 28 August 2009. ^ Gardiner, James. "Scotland's National Flag, the Saltire or St Andrews Cross". Scran. Royal Commission on the Ancient and Historical Monuments of Scotland. Retrieved 9 December 2009. ^ "The Saltire". The Court of the Lord Lyon. Retrieved 9 December 2009. ^ "Flag Flying Guidance". Issue No. 13 (Valid from January 2009). The Government of Scotland. 1 January 2009. Retrieved 9 December 2009. Duke of Fife is a title in the Peerage of the United Kingdom which has been created twice, in both cases for Alexander Duff, 6th Earl Fife, who in 1889 married Louise, Princess Royal, the eldest daughter of the future King Edward VII.